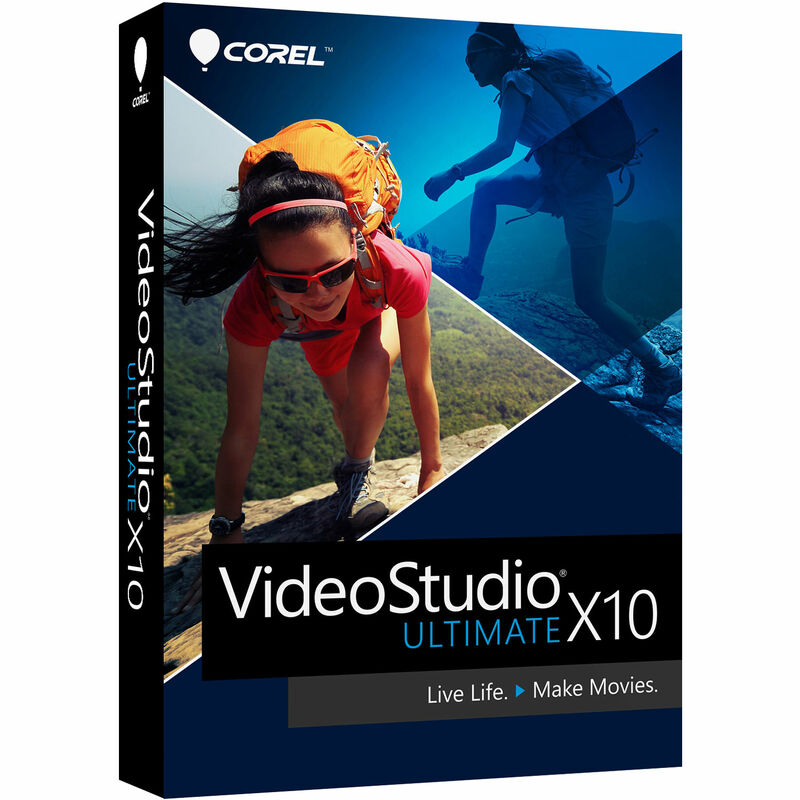 Loaded with 2000+ effects, titles, and transitions, plus special features such as motion tracking, Corel VideoStudio Ultimate X10 is a comprehensive and sophisticated consumer-level video editing software for Windows. As advanced as some of the function are, they're nevertheless designed easy to learn and use, and the user interface is also simple to navigate as well as attractive. Turn your family and vacation videos into engaging and entertaining movies. Highlight your adventures with standard creative editing tools, and get more creative with advanced functions like masking, green screen chroma keying, multi-cam editing, and stop-motion animation. Enjoy features for 360° videos, time-lapse photography, painting animations, reversing clips, 3D videos, live screen capture for tutorials, and much more. There's also a feature for times when you just want your videos edited quickly and automatically. FastFlick Movie Maker offers 24 templates that provide you with slideshows and videos in 3 easy steps. VideoStudio Ultimate X10 comes with a total of 18 special effects plug-in collections from the leading FX brands Boris FX, NewBlue FX, and proDAD. These plug-ins give you numerous tools for enhancing and polishing your videos. Turn day into night, create reflections, touch up skin, stabilize shaky video, correct fisheye, and much more. VideoStudio Ultimate X10 also has a DVD disc authoring tool that lets you add menus, chapters, and music to your disc by simply selecting one of the 100+ themed templates. You can also just as easily export out to social media, such as to YouTube or Facebook, directly from VideoStudio Ultimate X10 via a few simple steps. There are also high quality audio tools, such as Normalize Audio, which lets you balance audio among selected clips. And there's a royalty-free music library with tracks that automatically adjust to the length of your movie. The majority of the workflow is by efficient drag-and-drop operation, so, for example, you can quickly drag an effect onto your clip, and just as quickly remove it if you want to try a different one. VideoStudio Ultimate X10 (Boxed) is rated 3.3 out of 5 by 3. Rated 2 out of 5 by Richard from Beginning to feel like I paid for trial-ware. Just completed the install which took almost 2 hours. On first run I got an Upgrade to Ultimate Now! pop-up. Wait, didnt I just buy Ultimate? Not 2018 Ultimate, that will be another $40 please... Once in the app Im given a long list of additional things I can buy. Wait, didnt I just buy a package with a long list of features? Not THESE features and functions. And hurry, the offer to upgrade to Ultimate is time limited! Once Ive gotten past all the up-sell offers, Ill see if this software actually allows editing videos. Rated 5 out of 5 by Bruno from l like the program it is a very good program. Is it possible for me to import music from other programs/apps to this product? Here is the list of what audio types it can handle. If your audio is in one of these forms you can import. You would have to try to convert if not. Audio: AC3, MP3, MPA, MOV, WAV, WMA, MP4, M4A, Aiff, AU, CDA, AMR, AAC, OGG.